The flag protests towards the end of 2012 had a negative impact on community relations among 16 year olds in Northern Ireland. That’s according to the findings of the Young Life and Times (YLT) Survey, published today. This is against the backdrop of an otherwise largely positive trend in community relations attitudes over the last ten years. The YLT Survey was completed by 1,210 16 years olds across Northern Ireland in November and December 2012. Undertaken by ARK, a joint initiative of the University of Ulster and QUB, the survey gives in insight into the lives of 16 year olds across Northern Ireland and their attitudes to a number of issues includingcommunity relations, shared education and Community Relations Equality and Diversity Education (CRED). 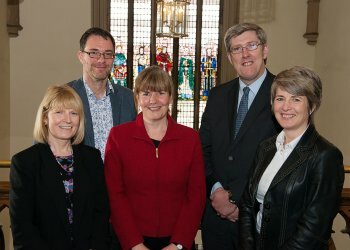 A 11 per cent drop in the percentage of young people who felt that relations between Catholics and Protestants were better now than they were five years ago (53 per cent of respondents felt that relations between Catholics and Protestants are better now than five years ago, as opposed to 64 per cent in 2011). 45 per cent of respondents felt that relations between Catholics and Protestants would be better in five years’ time. This is down from 50 per cent in 2011. Over three in four respondents believed that religion will always make a difference to how people in Northern Ireland feel about each other. This proportion has been decreasing slightly over the past ten years. 86 per cent of respondents felt that libraries in their local areas were shared between communities, 83 per cent said that leisure centres were shared and 80 per cent felt their local parks were shared. 75 per cent said they would prefer to work in mixed workplaces, and 56 per cent said they would like to live in mixed neighbourhoods. More than half of respondents said that if they had children, they would prefer to send them to mixed religion schools.
. 57 per cent of respondents had been involved in CRED programme in school, 14 per cent in a youth setting only, and 29 per cent in both. More than two thirds of respondents felt that CRED activities resulted in more positive feelings among participants. 71 per cent of respondents had experienced shared education with pupils who were from a different religious background to them, with the vast majority reporting that they had enjoyed the experience. Whilst the experiences of those 16-year olds who had experienced CRED education and shared education projects were overwhelmingly positive, overall the views towards more sharing in schools was quite diverse. 27 per cent of all respondents felt favourable towards greater sharing in schools in general, and 36 per cent felt that the government should think about not having separate schools for Catholics and Protestants when planning for schools. 39 per cent, however, felt unfavourable towards more sharing. By far the most concern about sharing among 16-year olds was the possibility of having to share with disruptive young people. As well as being asked questions, survey participants were given the opportunity to write comments they wish to make about community relations. Many of the respondents commented on the tension surrounding the flag disputes which were ongoing at the time of the survey and several highlighted how much, or how little, the union flag meant to them. Dr Dirk Schubotz, Director of Young Life and Times, said: “Community relations have been a constant feature of the YLT survey since it began in 2003. The slight downturn in the perception of cross-community relations shown by the 2012 survey results is not unexpected, given the tension surrounding the flag protests, and it serves to highlight the vulnerability of the peace process. More information and results from the 2012 YLT survey are available at: www.ark.ac.uk/ylt.